Admiral Heating & Air Conditioning Inc.
"Residential Service Done Right The First Time"
At Admiral Heating and Air Conditioning we are a locally owned and operated contractor that specializes in residential, service, replacements, maintenance, and solutions for our customers. With a strong commitment to customer service we never charge extra for evening or weekend appointments. We understand that equipment can break down at anytime so we never have overtime charges. We offer flat rate pricing with an explanation of all repairs and charges up-front before any work is done. 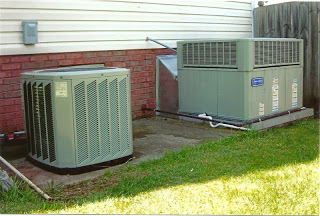 We have been in business since 2000 and all of our service is performed by factory trained technicians with over 24 years experience in the heating and air conditioning field. Our technicians are required to take continuing training that covers everything from electronics troubleshooting to air flow problems and solutions. We offer free estimates on equipment replacements that can be scheduled in the evening or on the weekend to work with home owner work schedules. Admiral Heating & Air Conditioning, Inc.